Nigeria’s new oil is the creative industry – Lai Mohammed – Royal Times of Nigeria. 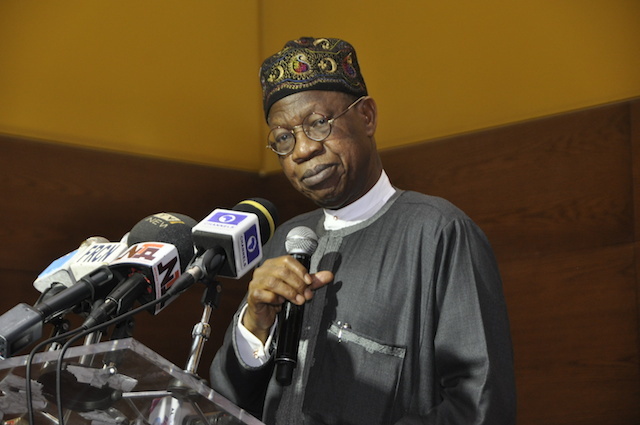 Minister of Information and Culture, Lai Mohammed has said the creative industry is Nigeria’s new oil. Mohammed said this on Thursday when he spoke about the Creative Industry Financing Conference holding in Lagos. He said: “The creative industry is capable of producing a breakthrough for the country. “We conceived this conference because of our realisation that lack of access to financing is stunting the growth of the creative industry. It is the latest in a series of conferences and other events that we have held since assuming office. Recall that we held the landmark National Summit on Culture and Tourism last year to chart the path for the industry. Most of its recommendations are already being implemented. “Also, on Monday, we held a Roundtable on the Creative Industry here in Lagos. Recall also that we have signed a number of MoUs, with the Bank of Industry, the Tony Elumelu Foundation and the British Council, all for the sole purpose of boosting the Creative Industry. “This Administration attaches a lot of importance to the creative industry. This is in line with its cardinal programme of diversifying the economy away from oil.